Are you a fan of Lucy Maud Montgomery's classic Anne of Green Gables? Now your 18" doll can dress as the beloved red-headed Anne Shirley. 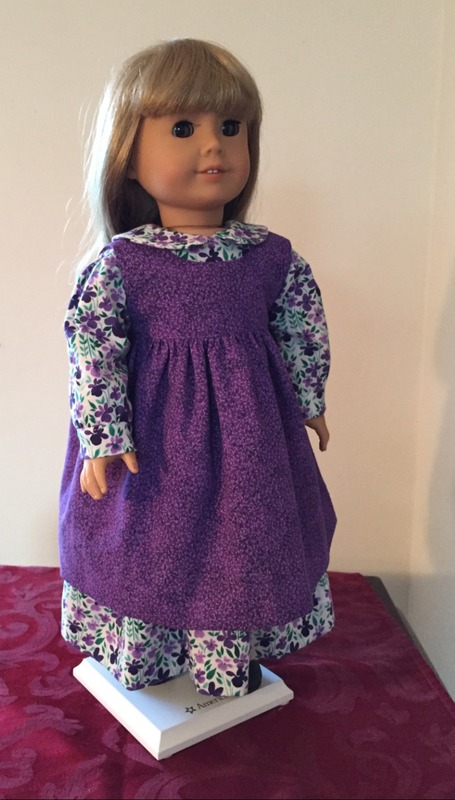 This PDF sewing pattern, designed to fit 18" dolls such as American Girl® and similar sized dolls like Tonner® My Imagination, includes detailed step by step instructions with photo illustrations. This pattern includes instructions to create Anne's dress, pinafore, hat, stockings and trusty carpet bag. I love this pattern. The pieces all fit together so nicely. Wish all patterns were this easy to construct. Thank you, Luminaria Designs!